Dial “O” for Ogawa and he is a tough one to pin down. But then who can resist wanting to chat with a new family man, and a fairly undiscovered figure of electronic music? Plus, in a country fraught with conservatism he is a quiet yet strong non-conformist. 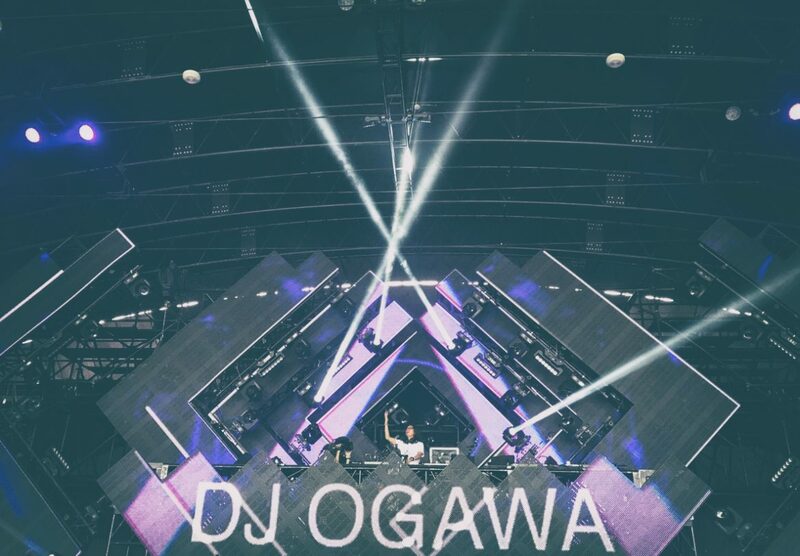 Leading the path with his own kind of electronic dance music, Ogawa has amassed a massive amount of love and praise from the dance music community world-wide. A self-confessed yakiniku lover? Yes. Progressive House specialist? Yes. Overall sweet guy? Definitely. Japan’s prolific DJ/Producer? Yes. Host of SMASH on FRISKY? Yes!! Special thanks to Giuliano Garau for the translation! Hi there, much thanks for chatting with me at FRISKY News. 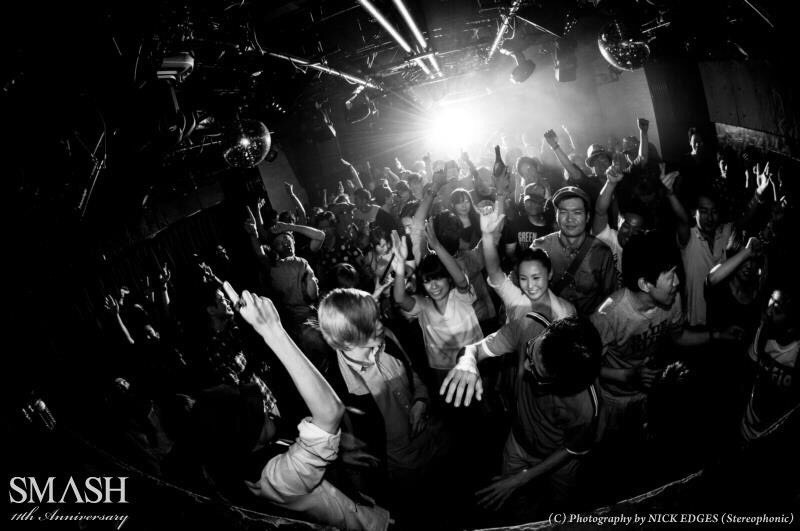 Tell us a little about your formative years – How was the town you grew up in and is Nagoya in Japan generally fertile in terms of dance music and do clubs push electronic music? I was raised in Nagoya, but I went to junior high school and high school in Tokyo. It’s been 30 years about the time the club scene really started to take off and there were few small underground clubs that had opened and each venue played different music genres every day. Monday was Punk, Tuesday was Reggae, Wednesday was Funk, etc. At that time I was still a junior high school student and underage but I liked Punk and Rock, so I and my friends pretended to be adults and went to those clubs. I loved listening to many cool and unknown songs while I went out, not only punk and rock. I started to become interested in different kind of genres of music and it was at that time that I began listening to House music by Frankie Knuckles from Chicago. I was merely a student, so with the little amount of money that I had I started buying records even though I didn’t have turntables or a mixer, which is when I started to go to my DJ friend’s house every day and went through the paces of learning how to mix. After that I graduated from Nagoya University and since my parents lived in Nagoya I went back home. At the same time a House music only club opened up in the place and I gave them one of my mixes (at that time a cassette-tape) and they let me play there every Wednesdays as a resident. 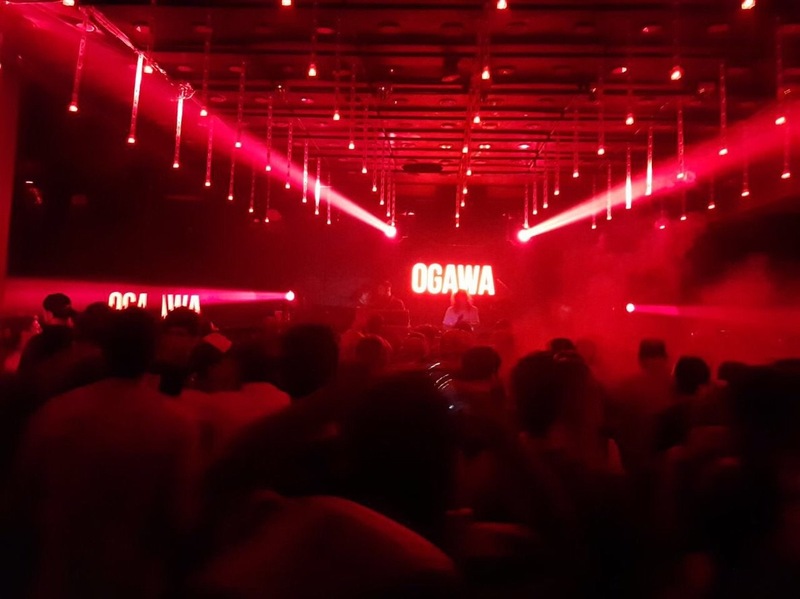 The Ogawa signature sound is pretty popular abroad, especially in Argentina, what about in Japan? What is currently the popular sound in your country? I don’t think the underground music scene in Japan is good right now, and it’s my opinion of course. Till about 2010 the scenario seemed to be growing and then there was a natural disaster in Tohoku in 2011, a massive earth-quake killed more than ten thousand people, and everyone in the country went in to shock and that obviously included me. I won’t say that it is so cause of that tragedy, but there’s a general sadness which is unmistakable, and a restrain of people going to clubs. Simultaneously around the time “fueihou” an anti-dancing law went in to action, details of which is complicated, but undoubtedly a weird, out-dated law which makes all nightclubs fall under the Entertainment Establishments Control Law and it prohibited customers from engaging in dancing inside any venues. A lot of the clubs started shutting down due to cops becoming stricter at supervising places, and this resulted in many invasions by the law to be carried out, which added to organizers much more reluctant to throw big events. 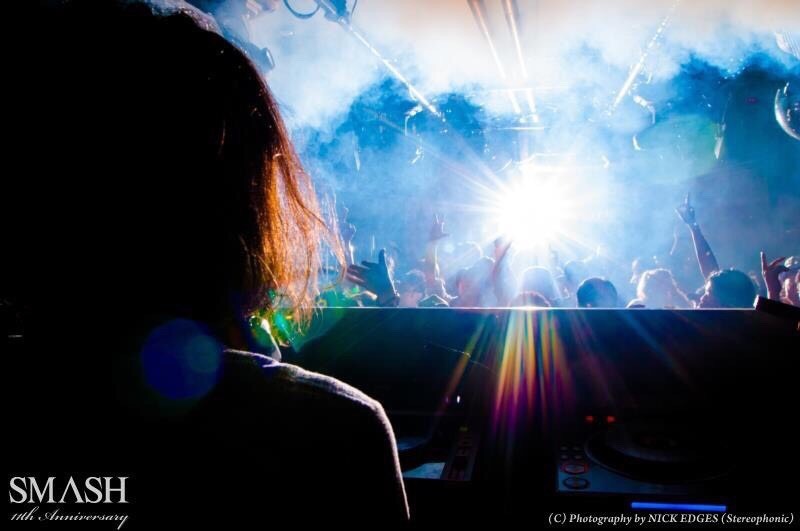 Due to these two events the typical energetic Japanese club scene nearly died. Thereafter the extremely popular commercial EDM sound took over Japan and things got even worse. That trend is now slowly declining and the underground sound is slowly but steadily making a return. What would need to change in order to make your underground sound more popular? Ha, this is a difficult question. I think you would have to convince people that the music they are listening to and love, if that music really is quality music. Can you share with us what you were listening to back in the day, any influences so to speak? As I said earlier I listened to a lot of Punk, Rock, new wave, Hip Hop etc in my younger days. When I was a high school student I got into House music. My friend who was working at a record store received Frankie Knuckle’s WBLS, Tony Humphrey’s Kiss FM recorded on cassette tapes from New York every week. I always listened to those tapes for new tracks and to see if I could mix like that. How did your first gigs go? The only thing I remember is that I was really shy and became pale performing in front of people, the whole audience staring at me, I really didn’t like it. I have gotten used to it now of course haha!! Was there any particular incident or artist you may have come across that made you fall in love with dance music? In the early 90’s it was Sound Factories’ NY sound, I was a little bit influenced by for instance Danny Tenaglia’s dark Tribal sound, but by the late 90’s it was the Global Underground series with John Digweed & Sasha and of course Renaissance: The Master Series which made me get heavily into Progressive House. In 2001 I was blown away by Hernan Cattaneo’s performance when he came to Japan for the first time. I don’t think till date I have heard anything better than Hernan’s style. 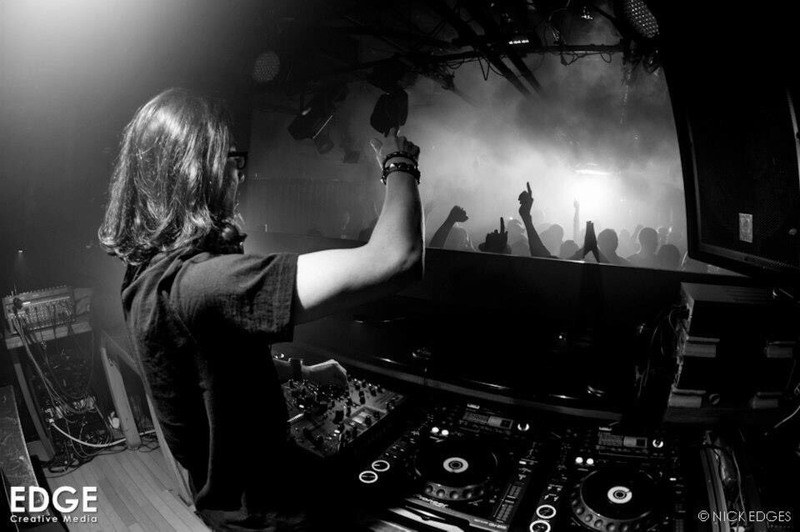 I liked House and Techno of course but after hearing Hernan play I really got into it his style. So, you can say that the main influencer for me, is him. I hear you conceptualized and pioneered an event night called SMASH from back in the day at Club Mago, which is still quite the attraction in the night life scene still. How did you come about the idea and are you happy with the results currently? When I perform I like to take my time and create a long journey through Progressive House, you can’t get that experience when playing only for a short time, that’s why I don’t like doing short performances. To give people that special time I created SMASH. That’s why I mainly do 5 hour sets or longer. 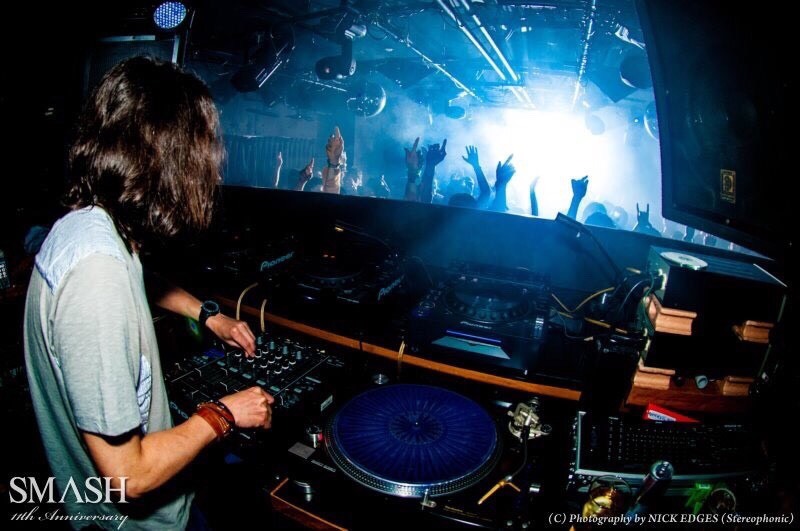 I also wanted to have great DJs perform at SMASH for example in the past we have had: John Digweed, Satoshi Tomiie, Guy J, Mariano Mellino and, recently we hosted Khen to play for us. The first time they came to play at our event it would usually be a 3 hour set but the 2nd or 3rd time everyone preferred doing longer sets. For many Japanese clubs it’s important to have a good sound system; however Mago, even though it’s only a small club has in my opinion the best and high quality sound system in Japan. That’s why the place and acoustics is ideal for DJs who play many hours. Perhaps long sets are not popular nowadays but SMASH’s audience definitely proves that even after 17 years there is still a thirst for it. It’s really an amazing party. PIONEER DJM900 NEXUS, PIONEER CDJ2000 NEXUS2 X 4, headphone is a PIONEER XDJ-X10, other than that I have my Pioneer USBs that have my library, and other 2 for back-ups. Plus other 2 usb sticks from different brands that also have back-ups. Tell us about your early production life – How did you start the process and when did you think that you have truly arrived, in terms of is there a particular track you made that you believe cemented your presence in the dance music halls for good? The first time I started producing was in 2004. I started with my friend UNIC who worked with a synthesizer and a mixer. My first releases were Departure and Routine and in 2008 I released some vinyl on Japanese label Nitelist Music. Did you send it someone? I sent it to Hernan Cattaneo. If I look back on it, it was quite scary, I wasn’t skilled enough, the sound quality was still low yet he played our track on the radio. I can’t explain the gratitude that I felt at that moment; I had tears in my eyes. I remember I couldn’t stop shaking because of all the excitement. I’m currently working with DJ OMB on a remix for Nick Varon’s – Forbidden Land. And in the near future a track of mine will be released on Suffused, not sure when though. I still have a lot of unreleased tracks that I made together with OMB that I want to release next year. I’m also in the studio with UNIC working on tracks that I will announce next year I think. Well, first I always try to turn my idea in a certain rhythm. I then bring that to OMB or UNIC’s studio to create the synths and structure. OMB has a good ear and is excellent in balancing the mix. UNIC is great in making the melodies. So I kind of direct that process. Can you tell us about your recent release Rainbow City on Asymmetric, how long did it take you to make it? I made this track together with OMB; it was for my Argentina tour in 2017. I played this track in 4 different places in Argentina and the reaction was fantastic. After which, many people sent me the videos of me playing it. The thought occurred to me about which label can I have it on, and during that time it just so happened that I was chatting with Lonya, and his label Asymmetric snapped it up, so I am very grateful. How would you describe your DJ style? I am interested in knowing what makes you tick behind the console, are there any traits or preferred techniques you apply to mixing when DJing? My style is mainly Progressive House. I love to do slow transitions to make a seamless mix. Like writing a story, start off slowly and then take time to develop the evolution of the sound, that’s what really appeals to me. Gradually build up and in the meantime make a connection with the audience and then continue with the next step in the story. That’s why it is extremely important to listen and prepare a lot of tracks before you perform. Programming is very important. 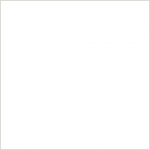 Your amazing show on FRISKY has seen many years of cool music and a great number of followers. Are there any particular mind set or vibe you apply for these mixes, a certain flavour you like to put in? I’m very happy with the show and really appreciate all the listeners and the feedback. I’m not really aiming for anything special but hope to draw the interest of the listeners with my 1 hour musical journey. 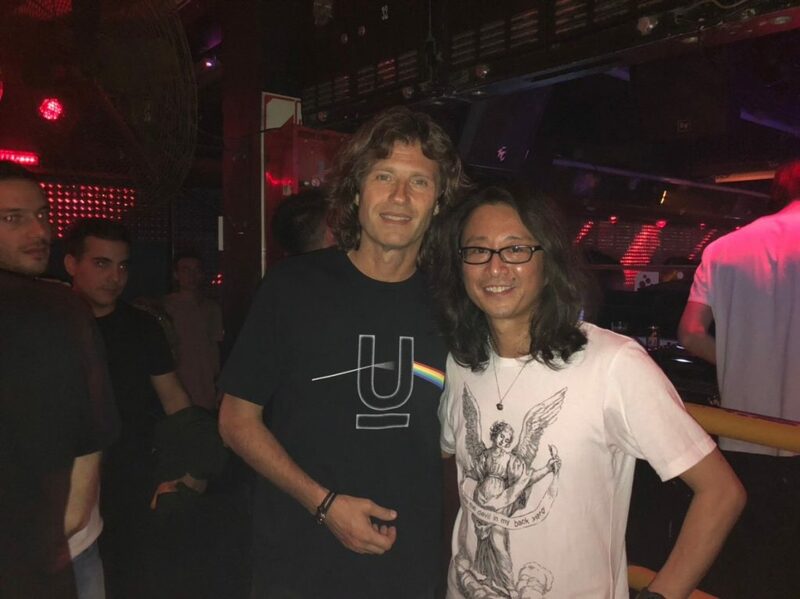 You are big friends with superstar DJ Hernan Cattaneo. Can you recall when you first met him and how your friendship has developed over the years? Hernan is one my dearest friends. We met the first time in 2003 at WMC Miami at Saw Recordings party. I was already a big fan of his so I asked him to take a photo with me. I planned on taking a selfie but he asked a cameraman to make a photo of us, I was moved. The year after that we met again at a Miami boat party and I was surprised he still remembered me. That year was the first time he came to play at SMASH. After that he came almost every year to play at the event. We have a similar taste in music and we always talk about unreleased tracks or upcoming artists. The more we talked the closer we got. When he came to Japan we made a trip together to the onsen (Japanese hot spring) and we ate yakiniku together. Four years ago, he built a new house in Buenos Aires and asked me to come and visit, that was my first time in Argentina. He is a superstar there, but he still showed us around tourist places and after that we had a BBQ with some of his friends, our families are very close and of course we are great friends, and I respect him a lot. 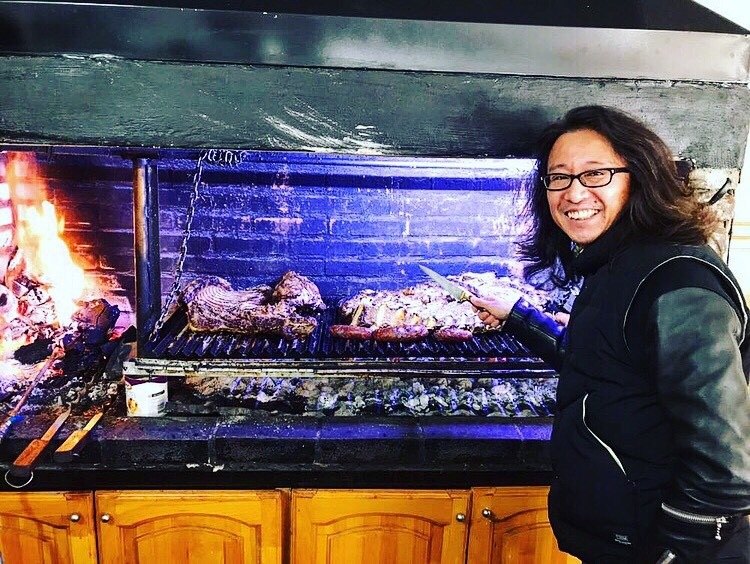 Your love for Yakiniku (grilled meat) is apparent, and so is friend and legend Hernan’s love for Japanese cuisine, what’s a typical evening with the two of you together, also what is your favourite part? Out of twelve days of my stay I ate that ten, and when Hernan came to Japan he ate Yakiniku for eight days out of his 10 day stay. I’m not a big fan of sirloin or meats that have a lot of fat. I prefer tenderloins or harami (belly meat) because they are not so heavy on the stomach and won’t make you fat. I have to ask if you ever thought of moving elsewhere to other parts of the world and seek bigger audiences. I have thought about moving to Argentina because they have a huge underground scene and they have a lot of meat. I want to thank everyone for listening to my show on FRISKY, I’m really grateful. And thanks to FRISKY for interviewing me.